Entering the new Montessori kindergarten at Notre Dame Elementary School in Utica, you may as well be walking into a Japanese Zen garden. It is that peaceful and orderly — even with the children in it. This is not surprising given that the Montessori philosophy holds that through order and self-discipline, a child is free to reach his or her fullest potential. On this particular autumn day, the class was learning about different types of pumpkins. Two or three children sat at each of several small tables studying a picture of a particular pumpkin variety. They then began painting pictures of their assigned variety. There were no splotches of paint on the tables or unruly children, just quiet concentration. Yet, there is sometimes a misconception that with this freedom, the classroom is pandemonium, said Carol Polito, Notre Dame Elementary assistant principal who directs the school’s early education programs. “Because a child can go as far as he or she is able, it’s work, not chaos. The children can take any lesson or subject further if that is what they choose. 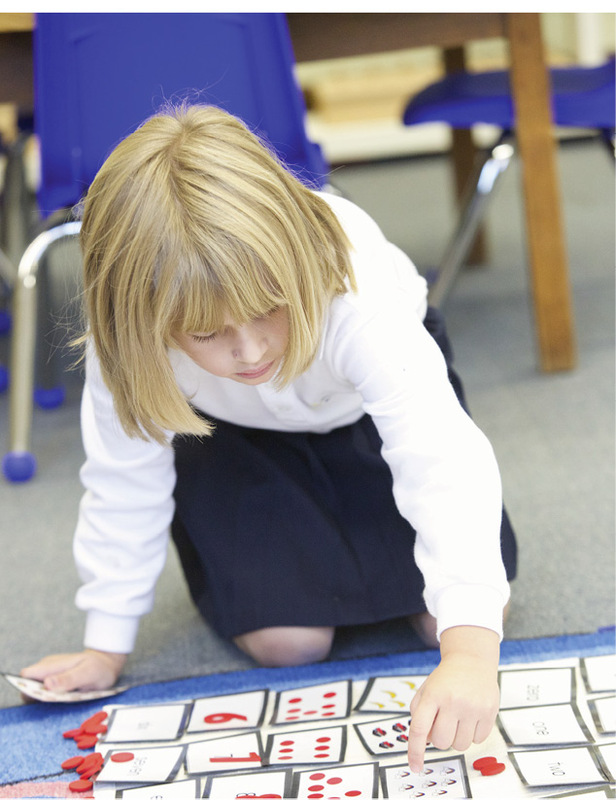 Montessori allows for the child who excels and for the one who needs more time,” she pointed out. The multi-age program allows students to continue to progress at their own level while capitalizing on their natural curiosities, Polito described. Ambitious, and sometimes more experienced, older students follow their interests while mentoring their peers in the process. Because the classroom is multi-age, some children have experienced Montessori learning for a couple of years, she said, and know exactly what is expected and what freedoms they have. 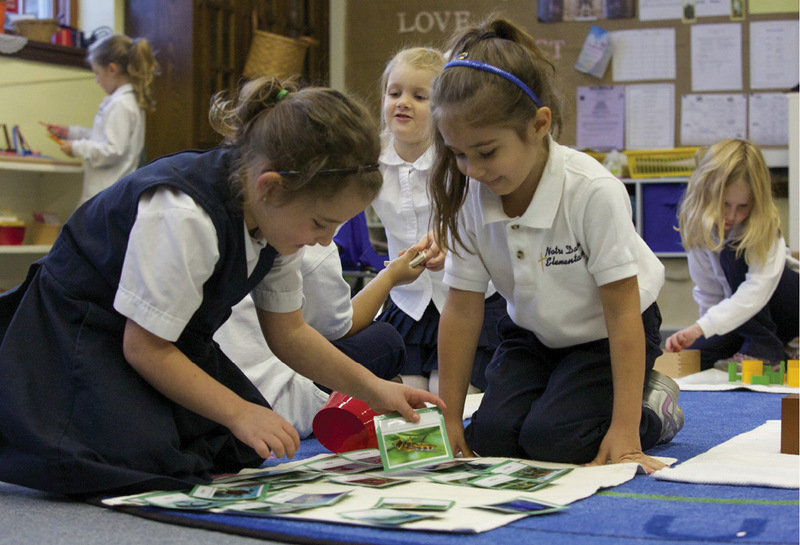 Long a fixture of Notre Dame Elementary, previously Our Lady of Lourdes Elementary, Montessori has been a part of the pre-school program at the school since the mid-’70s, said Polito. The class was always full, and there have been waiting lists for the school’s early education programs for a number of years. Three years ago, a second Montessori pre-kindergarten was added with the financial help of the Heritage Fund. “Through the years parents have said to us that this program is wonderful. They’ve asked, ‘Why can’t we continue this?’” Polito said. Thanks to the help of the Christ Child Society of Utica, a local chapter of an organization dedicated to the service of children in need, they did just that when school started this fall. Today, 15 students are part of the Montessori kindergarten class. Gros, who received formal Montessori training following college but took some additional courses to prepare for the new class, described how great care and consideration goes into creating a truly Montessori learning environment. “There is a focus on natural materials,” she said. “You’ll notice that the mats and baskets are woven and our bulletin board is covered with burlap.” There are live plants in the space as well, Gros added, explaining how the use of natural materials and muted backgrounds help draw the children in. It is these new practical life skills, that Grabinski notices the most in Kaytee at home. “She always wants to fold things, fold blankets, because that is what they do at school,” she said. It is noticed in other settings as well, Gros said. Other teachers, such as those teaching physical education and special subjects, are impressed and comment on how well the Montessori kindergarten students listen. Dyann Nashton is a freelance writer in Oneida, NY.